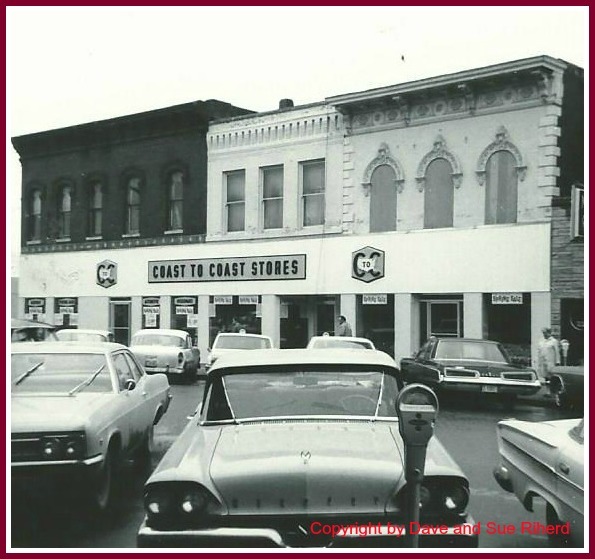 The business opened as a Coast to Coast store on February 2, 1937, with James and Ruby Murphy, and Ruby's brother Arthur Riherd helping them. 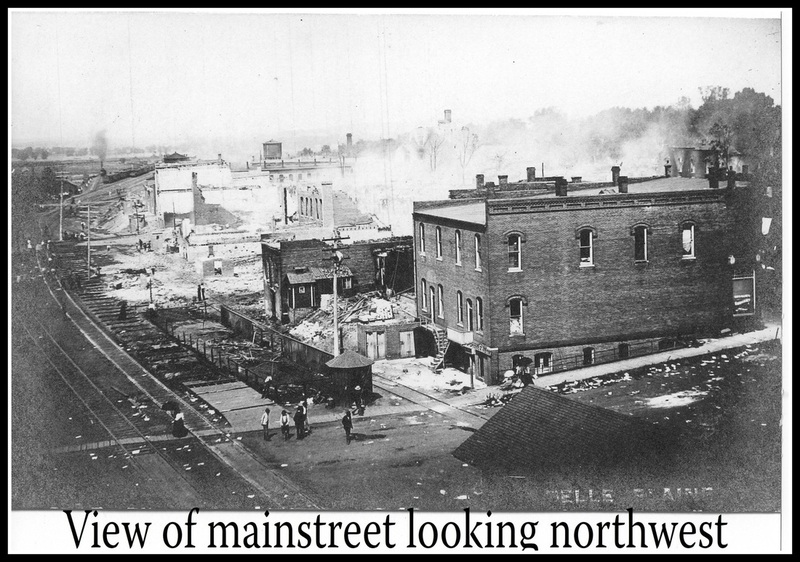 It was in the Axler Building, which is the innermost building (right in picture). 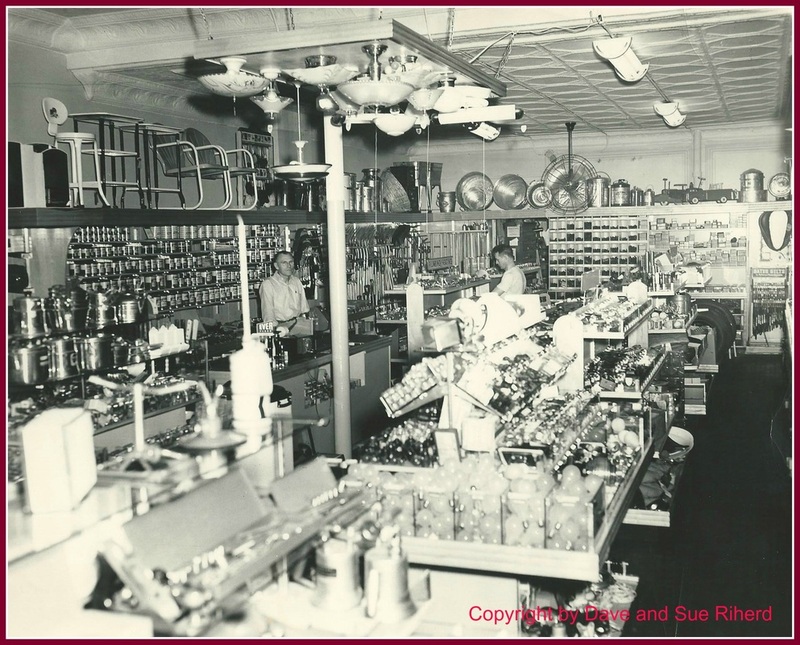 Shortly after Arthur returned from the war in 1946, they broke through the wall into the middle building to expand and sell furniture and appliances. 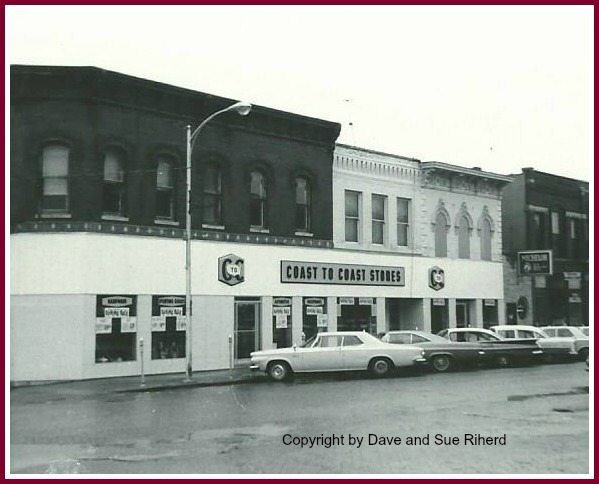 In 1966, they expanded again and included the corner buildings owned by Harold Kelly. Art's son David returned from college and began working with his father and in 1974 they formed a partnership. 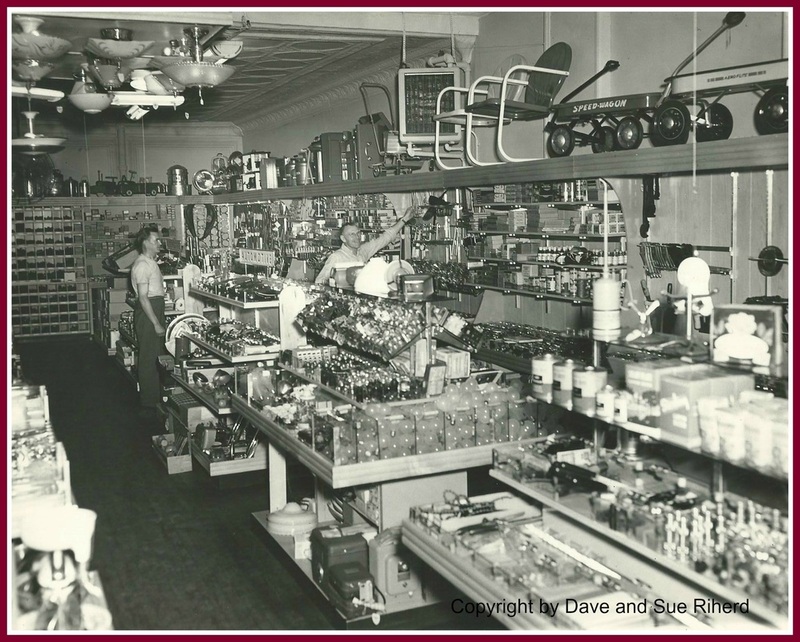 For the 50th anniversary of the store in 1987, the business experienced another change when all the aisles and departments were relaid. Left: how the store looked before aisles were relaid. Coast to Coast and Servistar had already merged when they became part of True Value in 1977. In 2000, the name changed and the red-and-white sign of True Value was hung.